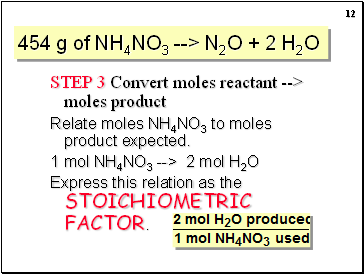 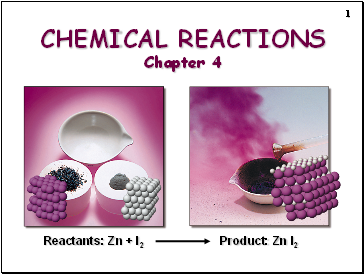 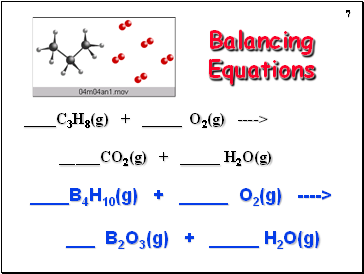 Depict the kind of reactants and products and their relative amounts in a reaction. 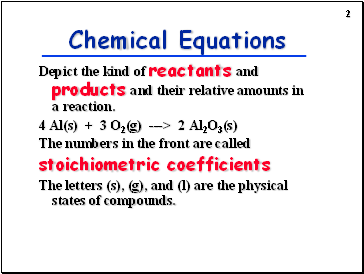 The letters (s), (g), and (l) are the physical states of compounds. 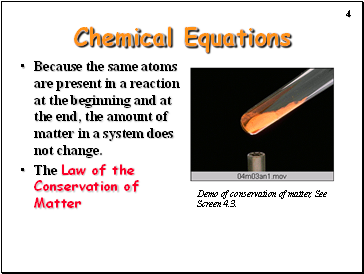 Because the same atoms are present in a reaction at the beginning and at the end, the amount of matter in a system does not change. 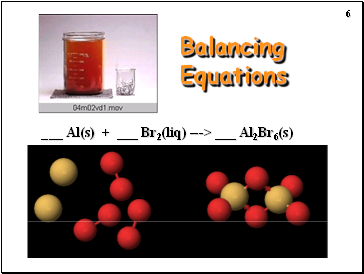 Demo of conservation of matter, See Screen 4.3.
an equation must be balanced. 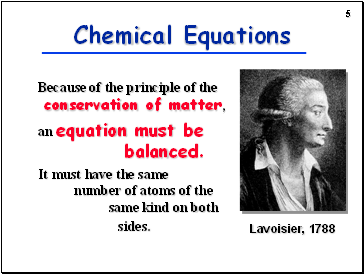 It must have the same number of atoms of the same kind on both sides. 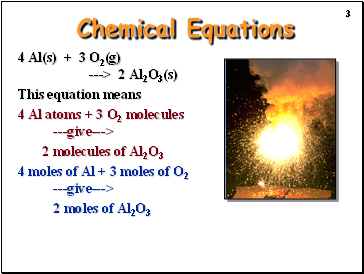 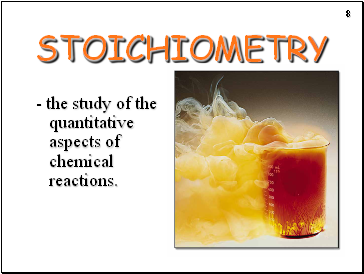 - the study of the quantitative aspects of chemical reactions. 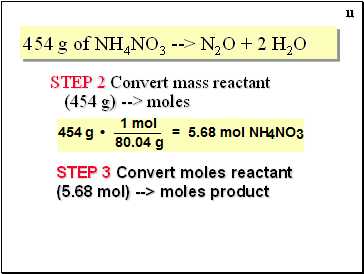 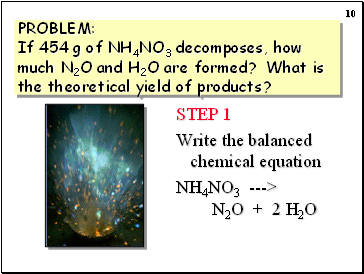 PROBLEM: If 454 g of NH4NO3 decomposes, how much N2O and H2O are formed? 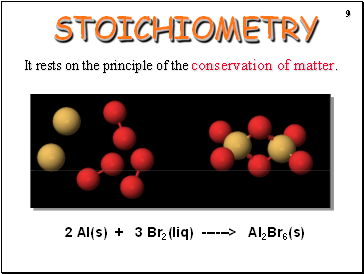 What is the theoretical yield of products?